Google had already rolled out the first test version of the new Google+ design last November, but at the end of August they finally made the makeover the default view. While the old “classic” interface has not been completely switched off yet, its days are now definitively numbered and it’s now time to get acquainted with the new Google+. 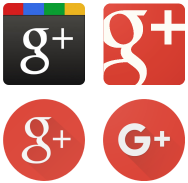 I’ve actually been using it since last winter and after a couple of weeks, I never switched back to the old version because missing or faulty features had been quickly re-instated or fixed and Google has made a lot of improvements to the new Google+ ever since. There have been a lot of unwarranted complaints recently because of the change, but most can be boiled down to a simple fear of change, which is understandable – but the new Google+ is much easier to use and the restructuring has overall been very beneficial to the social network. It’s been three years. Last time Google+ was visually and functionally overhauled was back in 2013 and that’s a long time in the digital realm. Screens have gotten bigger, mobile devices have become more popular and in the last three years, Google had introduced its Material Design and it’s only logical that Google+ follows those visual guidelines now. The new design works. The colours are really easy on the eyes and the fonts and font sizes are perfect – and you can even seamlessy scale the web version in the browser to fit your screen size. You even have a choice of up to three columns of posts side-by-side in your streams if your monitor is big enough. Everything also looks pretty consistent across all platforms and apps. It’s light years ahead of the cluttered, inconsistent mess of Facebook, which looks like a digital dinosaur from the late 1990s. Circles are still there – but they’re hidden by default and have to be switched on manually in the settings. Look for “enable circle streams in navigation” in the web interface and “display circle streams for this device” in the mobile apps. While circles are here to stay for personal use to sort the users you are following, sharing them has unfortunately been long since disabled because the feature had reportedly been abused too much. Creating and sharing Collections has fortunately now largely replaced the former Google+ cornerstone of Circle sharing and it actually works better from a social interaction perspective. Photography features have seemingly been diminished – which is actually not really true. Some Google+ users have proclaimed that the photography community has been thrown under the bus, but what really happened is that a clumsy and inefficient photo sharing and organizing system has been replaced by Google Photos, which is much more easy to handle and has not lost any of the Google+ integration. The split between Google+ and Google Photos makes a lot of sense and has given rise to one of the most powerful photo organizing platforms on the market today – and you still can share your photos and albums easily to Google+ and even other social networks. The only real problem is that the photo viewer in the new Google+ web interface does not support zooming anymore – hopefully this feature will be reinstated soon. Events are in limbo. Event Pages have always been a central feature for many people, groups and organizations and their disappearance in the new Google+ interface has raised a lot of concern. They are still available in the mobile apps, but despite a lot of requests and complaints from a lot of users, Google has been absolutely silent about their future in the new Google+ interface. The G+ engineers are certainly aware of the issue and the fact that the feature is still present in the mobile apps leads me to the conclusion that there must be some sort of underlying problem in the new web interface that prevents an easy integration. Or maybe Google is planning to make this a completely separate website? I don’t know, but out of caution I’m not going to use events anymore until their fate is definitively known. And, of course, there’s still the persistent urban myth that Google+ is dying for some reason or other, often mentioned in comparison to Facebook – but Google+ is about content and not simply volume. Google’s social network may be not as large as the so-called competition, but instead of an uncontrollably spewing firehose of posts interspersed with ads, you get real people posting real and often self-made content. But you have to choose what and who to follow yourself – people who take one look at Google+ and declare it a ghost town haven’t realized that Google+ does require a bit of user participation to get really going. There are also no ads on Google+ – the only commercial content you will see is that of profiles you choose to follow yourself, which may be one of the biggest advantages of the social network. The venerable internet zine BoingBoing has the tagline A Directory of Wonderful Things and that’s what Google+ is to me too. Every day I see wonderful photos and other fascinating things there and I try to give back a little bit of that in the shape of photography and sometimes other topics. I’m glad to have Google+ as a tool to connect to other people all around the world, all of them I probably would never have heard of otherwise.